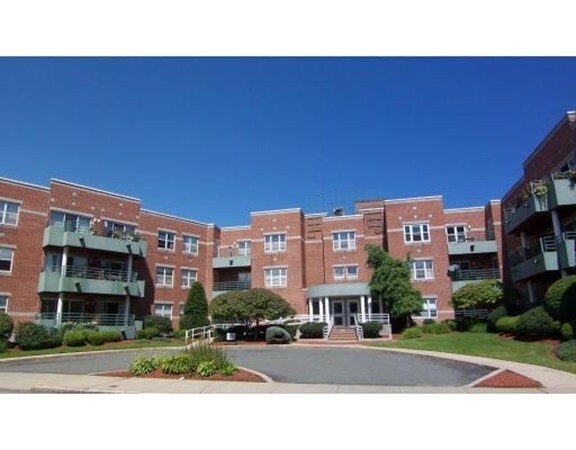 Spacious two bedroom, two FULL bath condo in immaculately maintained building with security locks and lovely lobby. Great layout with bedrooms at opposite ends of the unit with living area and glass siders to large balcony overlooking the Lynn Library in between! New HVAC system supplies the heat and central air and a pristine on-floor laundry is just steps away. Just moments from public transportation, shops, schools, parks and beaches. Big bonus is the underground garage space!